I’m so excited to be writing here on the Sewcialist blog today! If you don’t know me, I’m Elizabeth from Elizabeth Made This. I live in Colorado with my family of men and I sew every spare minute that I have. 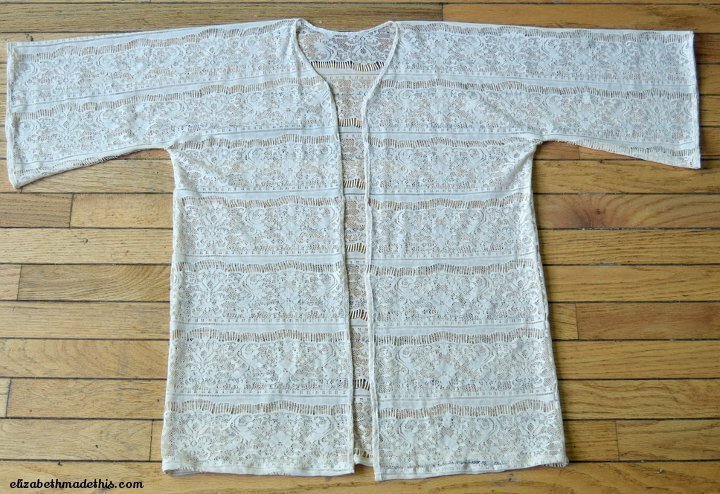 Today I’m sharing a tutorial for a quick and easy lace robe. If there’s one piece of “lingerie” that I can’t be without, it’s a robe. I’m always cold in the mornings even if it’s blazing hot outside and a robe is a great wardrobe piece to keep me warm before I drink my first cup of tea for the day. This time of year, warmth isn’t as essential as it is during the winter months, so I’ve been kicking around the idea of a lighter, more summer weight robe to start the mornings. Lace seemed to be the perfect fabric for just this. It’s lightweight, and sheer and an obvious choice for finer garments. With it’s dewy romantic look, can you think of a fabric that epitomizes lingerie more than lace? Beyond summer, the sheer quality of lace makes it perfect for layering over other garments. Besides being something to toss on over pajamas in the morning, this time of year, a lace robe would be a great pool coverup. Come fall, this would work really well over a skirt and sweater with boots. Whether you’re flipping pancakes or running errands, this lace robe will add a dash of soft elegance to your daily wardrobe. This project uses French seams to enclose the raw edges of the lace on the inside of the garment. 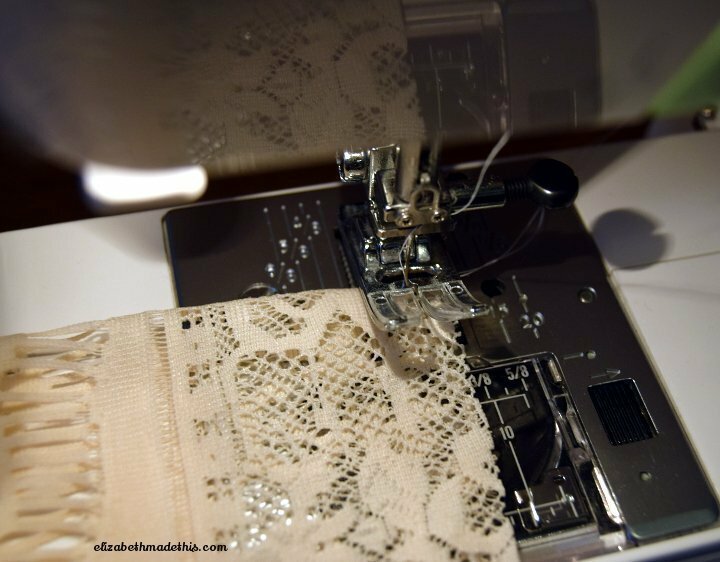 Because lace is sheer, your seams will show through to the other side, so this is not a project suitable for a serger. There are lots of options for hemming lace depending on what kind of lace you’re using, but on this one, I’ll keep it simple and assume you’re using a lightweight lace that can be hemmed with narrow (1/2″) hems. 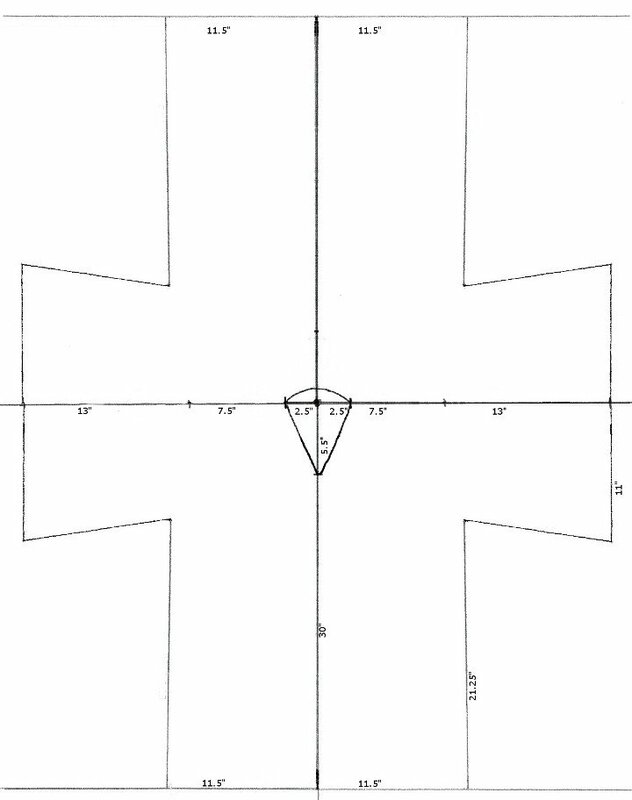 Draw out your pattern per the diagram on a very large piece of paper (mine was 50″ X 65″). You might have to tape together several pieces of paper. 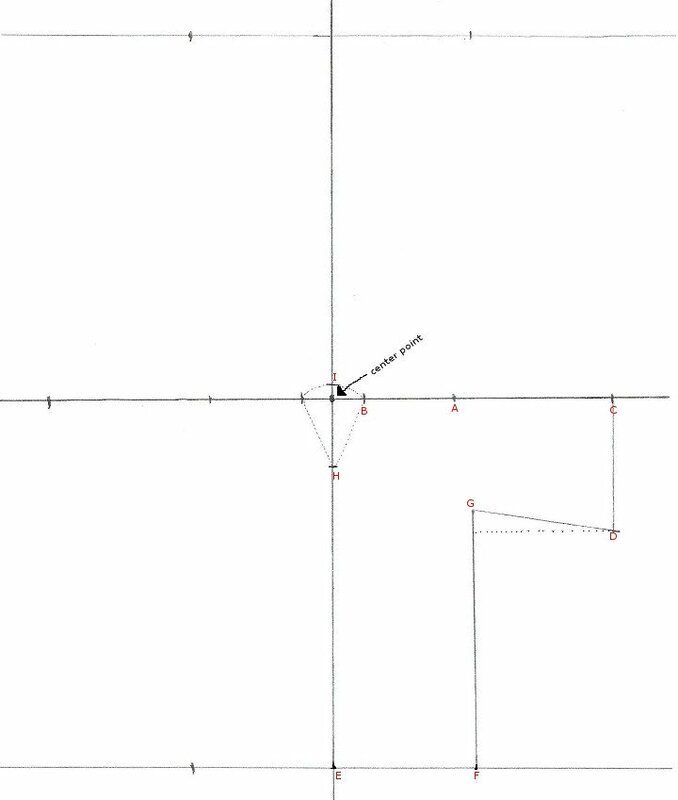 Add seam allowances of 5/8″ on the underarms and sides and a hem allowance of 1/2″ on the neck edge (CF hem allowance and bottom hem allowances are already figured into the pattern. Cut away the remaining paper from the center of the neck to the cut line edges. Lay the pattern on your lace. This is a very large pattern, and you’ll be cutting it in one layer. Make a small hole with your scissors in the neck area, then cut out the neckhole, down the CF line, then around the perimeter of the pieces. Needle down in fabric with presser foot up. Once it’s down, lower the presser foot and start sewing. No delicate fabrics getting sucked into the black hole of your machine innards. **AWESOME LACE TIP!!! ***: To keep the lace from getting sucked down into the machine at the beginning of each seam, place the fabric under the presser foot, but leave the presser foot up. Turn the fly wheel towards you to lower the needle down into the fabric. With the needle down, lower the presser foot and begin sewing. Starting on the bottom of CF on one side, sew a row of straight stitching 1/2″ away from the raw edge all the way up CF, around the front and back neck and down the other side of center front. Fold the raw edge to the inside of the garment just beyond the stitching line. Roll the raw edge to the inside of the fold so that you have a small double turned hem. Stitch the hem with a narrow zigzag stitch (2.0 width, 1.5 length). 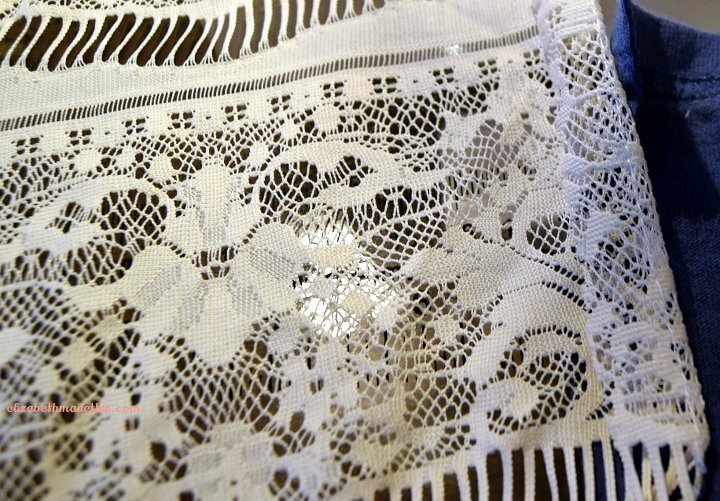 If your lace is relatively stable and dense, you can use a straight stitch, but if you have a lot of holes in the lace, a zigzag stitch will work better and prevent snagged stitches. Put wrong sides together and sew up the side seam and underarm seam with a 3/8″ seam allowance, using the same narrow zigzag (2.0W, 1.5L) from step 2, pivoting at the intersection of the side and the underarm seam. Repeat on the other side. Clip into the corner, then trim the seam allowance down to about half of it’s original width. Flip the garment to the reverse side, then press the seams on a nylon setting. With the right sides facing in now, sew up the side seam and underarm seams with a 1/4″ seam allowance again, with that narrow zigzag stitch. Hem the sleeves and the bottom of the robe the same way you did for the neckline. That’s it! See more of my work at Elizabeth Made This. Great tutorial – definitely an article to save for later :o) Such a versatile garment. Versatile was my goal in putting this together! I’m glad you found it helpful! That’s such a great robe! I can imagine wearing it around the house, or out on a date. Thanks for the great idea!! Ooh, it’d be perfect for a date night! Thanks for that great idea! need a printer hard copy so I can follow along? Great idea Elizabeth. I like how you’ve styled it for fall too. Lord knows in our weather if pieces can’t be layered, it’s all foolishness indeed! I love your photos, Elizabeth! I’m going to keep thinking about how i’d make a knit version… but it seems like s fun project! It’s been ages since I drafted anything out from measurements! Thanks Gillian! This would work so great in a knit version–my regular robe is similar made out of a double knit–it’s a great weight and warm. And if you’re looking to draft anything, this is a crazy easy thing to draft. Thanks Erin! Yes, I think it would a great cardigan over a tee and jeans! This article is fantastic! 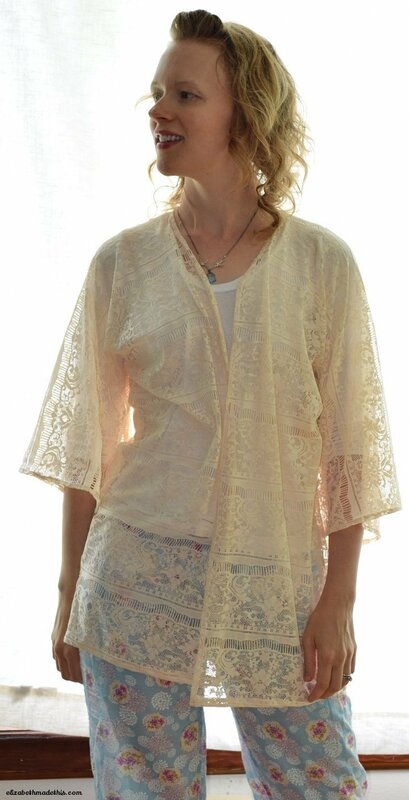 You make drafting this lace jacket seem quite straightforward, I am definitely going to attempt this – I’ve been very intimidated about drafting, but wanting to give it a try, so this will be my toe in the pool. Thank you! I’m glad you found it helpful! Go for it!